Australia21 conducted two roundtables and produced four publications on illicit drug policy in 2012. Over the last 12 months Stuart McMillen undertook his own investigation into illicit drugs and has kindly agreed to share the results with Australia21 subscribers. Stuart McMillen is a young cartoonist, now based in Canberra, who creates comics on social, scientific and environmental issues. He has researched, written and drawn two comics on drugs. The latest, Rat Park A classic experiment into drug addiction science. Would rats choose to take drugs if given a stimulating environment and social company?, is about the research of Canadian psychologist and addiction specialist Bruce Alexander. The first, War on Drugs (featured in a previous Australia21 newsletter), is about prohibition and how, counter-intuitively, well-intentioned laws and criminalisation can make the situation worse. We offer these original and beautifully drawn creations to you as a way of stimulating further public conversation on this important topic. Comics can be used as an art form for presenting very difficult material. Stuart joins a worldwide movement of cartoonists who use comics or 'graphic novels' to explore serious social issues - for example Persepolis (about life under the Iranian Revolution), Maus (about the story of a holocaust survivor, as told by his son) and Palestine (about the Gaza Strip conflicts of the early 1990s). Stuart told us he draws his comics as a labour of love. 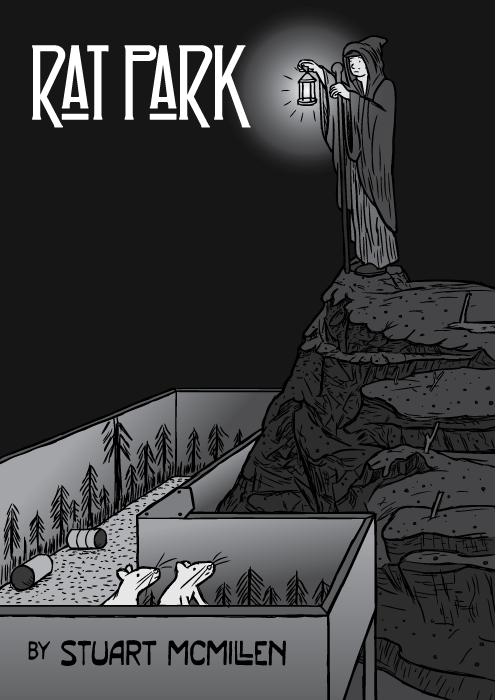 However, support is welcome and Rat Park was produced through crowdfunding. Readers can contribute to Stuart's work by using the 'support the artist' link at the end of each comic strip.